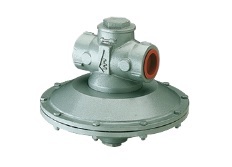 To be used in combustion equipment with separated blowers to keep air-gas ratio. Sizes from ¾” to 4″. Capacities from 5 to 550 m3/h of Natural Gas.